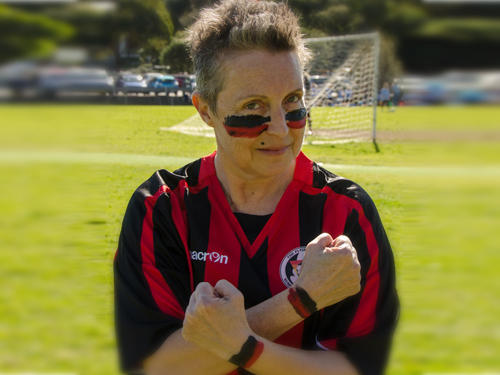 The Flying Bats is an LGBTIQ+ women's community football club. We're the largest lesbian football club in the world. We love football (soccer) and we're keen to share the joy. We promote inclusivity, health + wellbeing, and creating a sense of community. The Bats is about football for all. Whether you're brand new to football or you've been playing for years, we'd love to welcome you to the club. 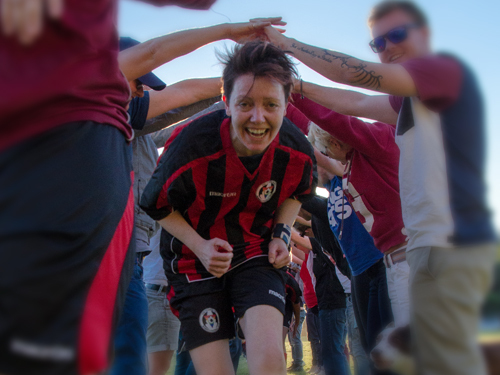 Whilst we predominantly identify as lesbian, we welcome all women - lesbian, queer, bi, straight, cis, trans, intersex - to come and play football and socialise. We play an active role in the Sydney LGBTQ community. Join our mailing list, or follow us on Twitter or Facebook for all the latest events and updates. 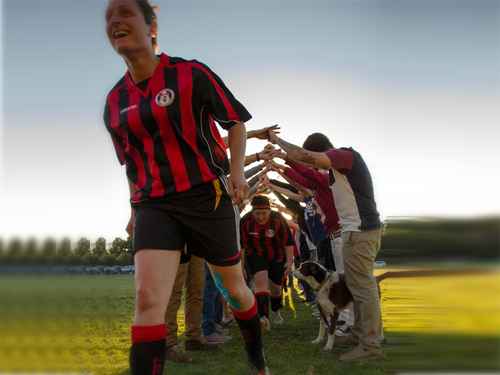 The Flying Bats is a not-for-profit women’s community football club. Our ethos is simple: we love football and we want to share the joy. The Bats is about football for all. We’re a friendly bunch. We welcome all women to come and play football and socialise. FBFC was founded 30 years ago. And we’re still growing. We are celebrating 30 years of rich history.